If you’re kicking around this neck of the woods where Paisley is the central population hub, or you’d like to explore it, here’s a ride that will test your mettle – and reward you if you’re up to snuff. There are two other good day rides around here – Crane Mountain and Chewy Out-and-Back; this one is the topper. If you’re riding multiple days, either do this one first, while your legs are fresh, or save it as the piece de resistance so you don’t have to ride anymore afterward. Depends on your perspective. One of the prominent geologic features of south-central Oregon is Winter Rim, a spectacular fault scarp that rises 3,000’ from the Summer Lake valley floor – some of the most dramatic topography in Oregon’s basin-and-range country. The landscape here varies between marshy meadows, groves of rustling aspen and giant swaths of wildfire burns in various stages of succession. The Wild and Scenic Sycan River drains off the gradual western slopes into the headwaters of the Klamath River and eventually to the ocean through one of the most important salmon fisheries in the northwest. The nearby Chewaucan River drains the other direction, east, and eventually dead-ends in the shrinking alkali expanse of Lake Abert, where it evaporates. 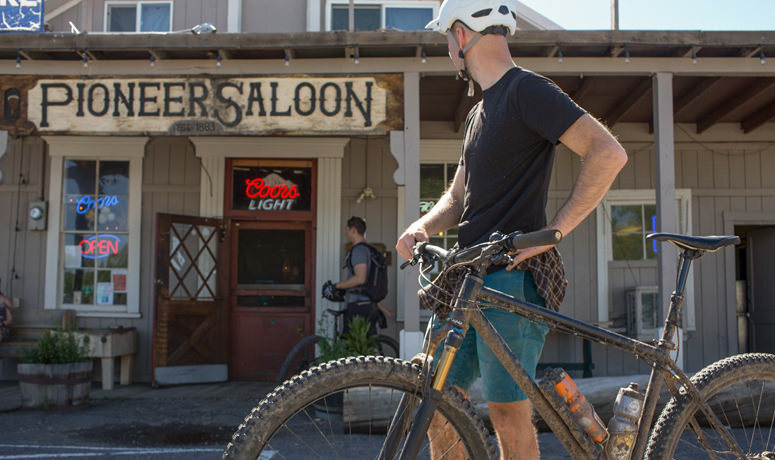 This route starts and ends smack-dab in the middle of Paisley; conveniently, the Pioneer Saloon is right there as a post-ride enticement. Because the Bear Creek ride is almost 50 miles long, consider starting early in the day. If it’s a little brisk (really depends on the season, out here), the immediate, gradual climb up the south slopes of Winter Rim will generate some internal body heat. But remember that it can be breezy and markedly cooler up on the rim, so bring along a variety of clothing layers just to be sure – even if the forecast is for heat in Paisley. You’ll ride up a couple thousand feet over about 9 miles, with the Summer Lake valley stretching out below, slowly filling with the morning sun’s hazy light. Although it’s a long ride, the grade is reasonable and the views are astounding. Soon enough you’ll descend past recent burns under Slide Mountain; take a minute to gaze out along the full length of Summer Lake before beginning the second climb to the top of Government Harvey Pass. This climb mirrors the first one at about 2,300 feet and nine miles, but it has a few steeper stretches. 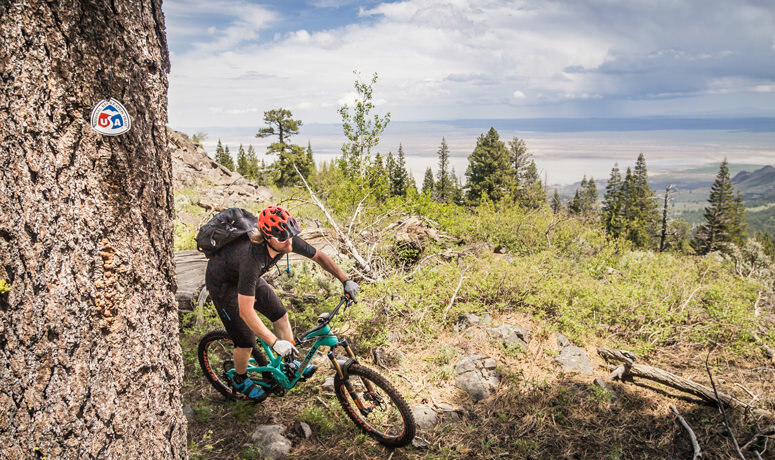 Yes, this is stout work overall – 18 miles of climbing punctuated by the one descent – but there’s a big-time payoff: Once you’re up the second climb and on the rim, you’ve covered half the route. And, as you turn off the gravel onto single-track, nearly all the elevation gain and most of the riding time is behind you. Plus… less than a mile down the technical, rocky single-track you’ll come upon a stunning view at the top of a talus field. Stop and quietly marvel at the almost unbelievable vista below. Then, back on the bike, you’ll quickly reach the shoulder of Slide Mountain and begin your long descent down Bear Creek. Rip and grin across 12 miles of downhill exhilaration, dropping nearly 3,000 feet from your aerie on the rim. This entire area burned in a wildfire during the summer of 2018; it’s fascinating to see the varying levels of regeneration as you make your way down. The ride is interspersed with ripping-fast sections, lush green meadows, some shady stands spared by the flames, and a bubbling creek that grows larger as you follow it down into the Chewaucan Valley. The Bear Creek drop has a little bit of everything: views, wildlife, creeks, rock gardens, straightaways, switchbacks, natural features, a little bit of wayfinding; it’s a stern challenge on the whole. Once you reach the Chewaucan River, you’re likely to be both exhausted and giddy as you roll the easy paved miles back into Paisley and anticipate a welcoming beverage awaiting you at the saloon. The Oregon Timber Trail is a world-class bikepacking destination and North America’s premiere long-distance mountain bike route. 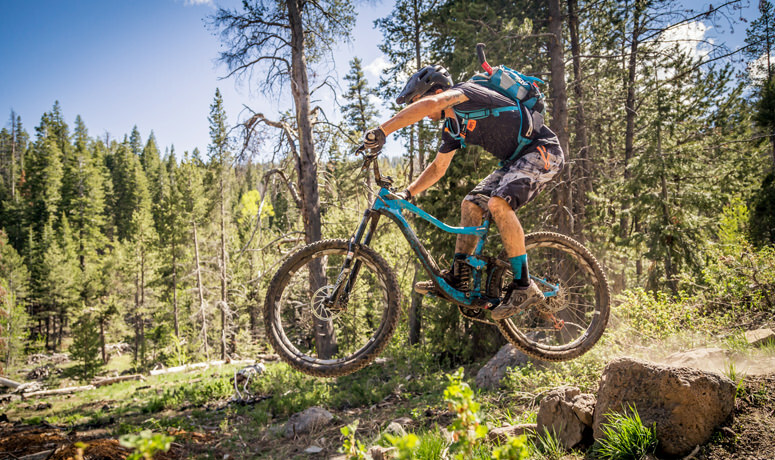 It runs south to north and travels through a variety of landscapes, communities, ecosystems, terrain, and, most importantly, mountain bike trails. Divided into four unique tiers, the Oregon Timber Trail is approachable by a wide variety of cyclists. If it sounds familiar, you’re not mistaken: the Oregon Timber Trail is inspired by the Pacific Crest Trail and other trails in the National Scenic Trail system. What sets it apart is that it’s designed for mountain biking in mind and consists of more than 60 percent singletrack. 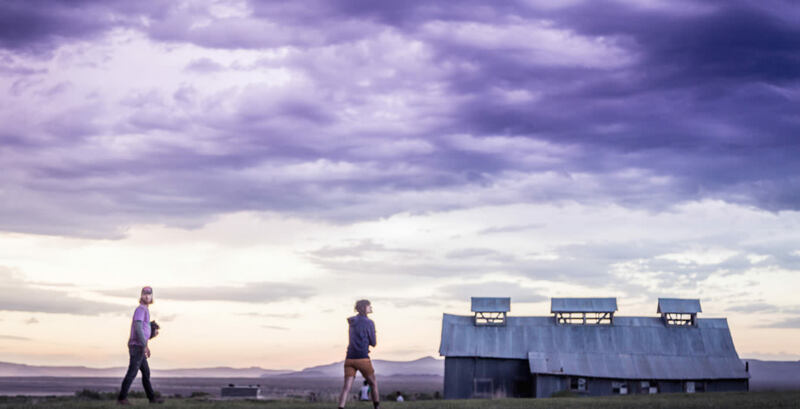 Start scheming, plan carefully, rope in some friends and have fun exploring the varied wild landscapes that have enthralled generations of Oregonians before you.